TYRION – Bay 17 hand 2007 Irish Sport Horse gelding, by Bank's Fee Daniel (RID) out of All Ears (Oldenburg). A striking bay with four white socks and a blaze, he is a real eye-catcher. He is lovely to ride, a beautiful mover and a powerful bold jumper with excellent form. He is competing successfully at the Training level (unrecognized), and excels in all three phases. 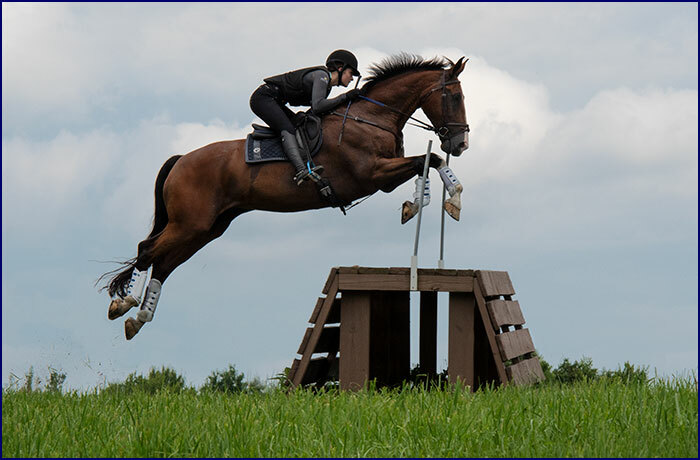 Bold and easy to the fences, he would be a great horse for an amateur who wants a fancy horse to move up the levels. He could also be successful in straight Dressage or in the Show Ring.